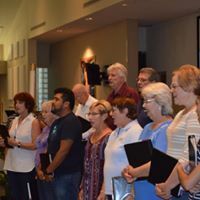 The Plant City Community Chorale is an exceptional adult, secular ensemble rehearsing in Valrico and performing in Plant City and other areas around the Florida Tampa Bay. 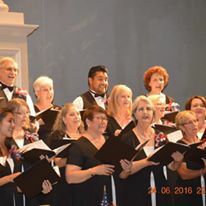 PCC Chorale is a not-for-profit 501(c)(3) corporation. The revenue which enables us to perform comes from ticket sales, dues, donations, and advertising. Ten years later, our chorale averages 25-35 singers per concert! We are an inclusive group of men and women—a mix of ages, races, religions, and varying abilities to read music. Our mission is to provide cultural, educational, musical, and social experiences which enrich our members, audiences, and communities. 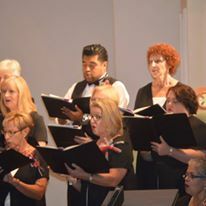 Under our Artistic Director, Members have the opportunity each concert to discover more of the art of singing, enhance their performance craft, and deepen their understanding of choral principles. Attendance at rehearsal is required and is taken. Members may miss 2 rehearsals per concert and need to notify the Secretary of any known absences. Long-term absences should be discussed with the Artistic Director. Attendance at Community Events is strongly encouraged. Most events provide us direct financial support and we want to ensure the best performance possible. Music is issued at the time dues are paid and turned in after the concert. Members who do not return their music will not receive their $35.00 music deposit back. Music may not be kept until the deposit is paid. 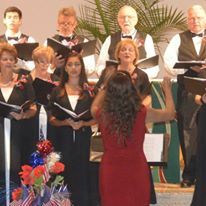 Practice: Singers are expected to dedicate some outside time to music practice. Members are encouraged to bring small recording devices to rehearsals. 5-7 minutes and establish pitch-matching ability and placement in the appropriate (soprano, alto, tenor, bass) singing section. It is not an audition. Financial Requirements—Dues are $35 per concert season. A separate Music Deposit check of $35 is held (uncashed) by the Treasurer; it is returned to the Member once music is turned in. $78 for Windmere #8610 from Stage Accents.com. $31 for Tatiana full-length black skirt from Concert Attire.com or you may use your own. Informal Performance Attire (men & women): white shirt/black pants. Provide educational, cultural, social and musical experiences which enrich our members, audiences and communities. 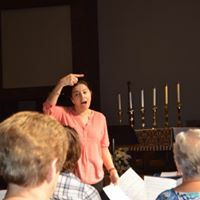 Members have the opportunity to learn or enhance their craft of performance, art of singing, and understanding of choral principles.